(Click on images or names to open). *, Introduced species; +, Listed species. Squared background is 1/4 inch squares. 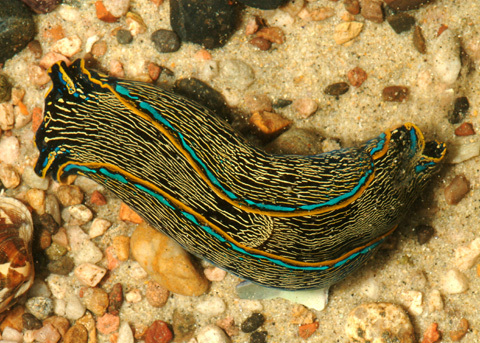 Aeolid Nudibranchs, distinguished from other nudibranchs by their possession of cerata containing cnidosacs. "The aeolid cnidosac is one of the most remarkable examples of recycling in the animal kingdom. 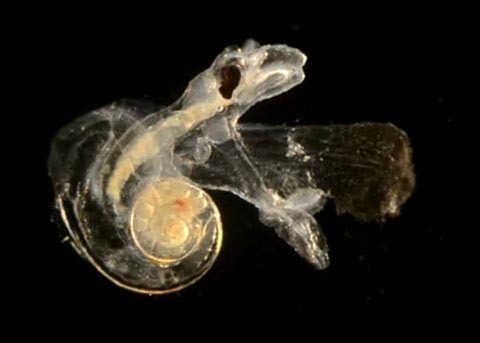 These animals eat cnidarians and are then able to retain at least some of the stinging cells (nematocysts) from the cnidarian, in a functional state so that they are able to reuse them in their own defence" (Sea Slug Forum). 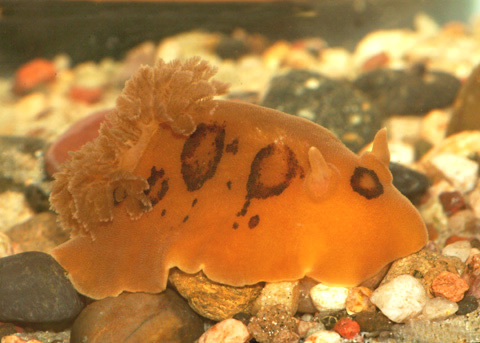 Dorid Nudibranchs, recognised by the gill plume forming a cluster on the posterior part of the body.